The MacBook Air revolutionized the market of laptops and notebooks and the iPhone Air could do that with the handset designs, especially if it’s very, very thin. 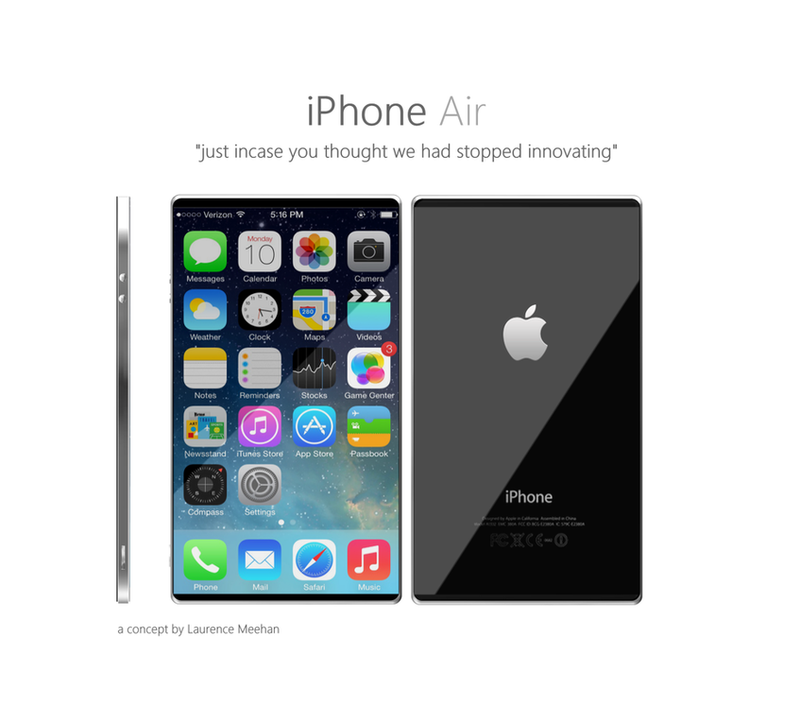 Imagined by Laurence Meehan, this concept shows us exactly what made Apple famous in the smartphone world. It’s a thin slab of metal and glass that immediately catches your eyes and changes the game. The diagonal still seems kind of small and the lack of bezels means you’re going to constantly have your hands on the screen directly. Also, with that amount of glass and metal, the iPhone Air may tend to feel slippery. It’s still a great achievement in design, at least in theory. Edge to edge screens have been claimed to be the future for a while now, but we’ve yet to see a popular smartphone with such a display, I mean a real one, not Motorola’s attempts. And by edge to edge we usually do not mean cutting the upper and lower edges… What do you make of this iPhone concept?